Huntington Family Dentistry PC DBA Molar To Molar (Huntington Station) - Book Appointment Online! 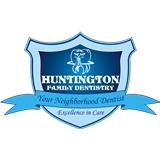 AFFORDABLE DEPENDABLE EXCEPTIONAL This is what you can expect at Huntington Family Dentistry. We believe partnering with you is essential in achieving optimal dental health and designing the smile you want. Huntington Family Dentistry exists for the sole purpose of building long lasting relationships and helping our patients achieve optimal dental health. This was my first visit and frankly I was very impressed by the friendly atmosphere that reigns there, the use of technology to evidence the issues to the patient, and the professionalism of the doctor.